My oldest is nearly 10 and following in my footsteps, he loves to take photos and video. Albeit, I think it’s a bit more natural on video than myself. He’s been wanting a camera that can capture footage of home playing football, on his bike, scooter, etc. It takes a certain kind of camera to be able to do this and you don’t want an expensive one at that. 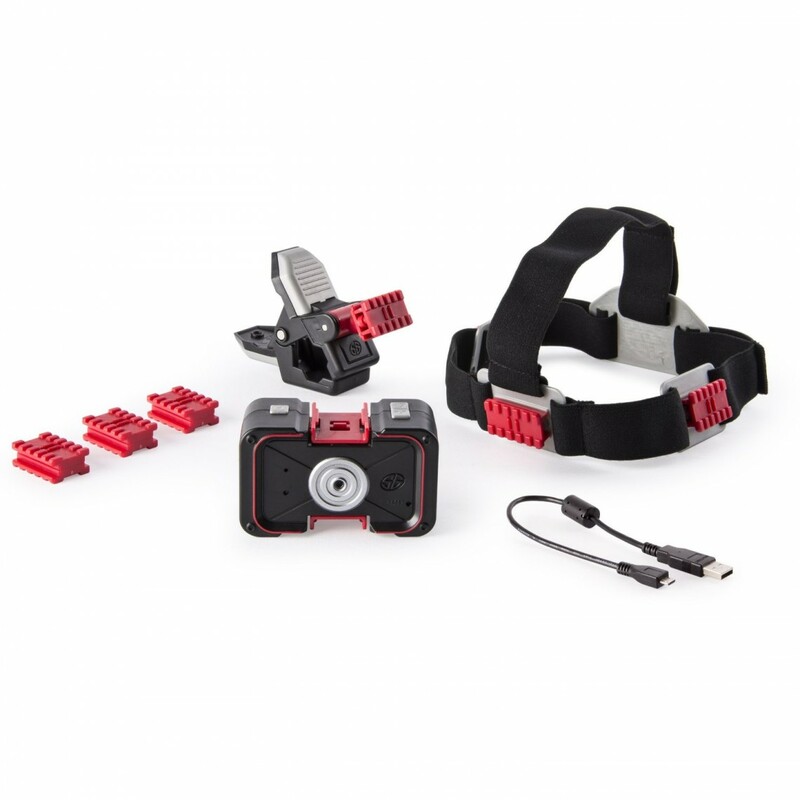 With Spinmaster Spy Gear Spy Go Action Camera, this has the whole package. 3 Universal Spy Rail Mounts. The kids will be able to make fun videos wherever we go with this record anywhere portable camera. The Spy Gear Spy Go Action Cam works in 3 different camera modes; burst mode, single frame capture mode, and video capture mode. From taking still images to recording what they get up to on their scooter, this camera has the versatility to do it all. With the clip mount, your child will be able to clip it to almost anything, from the scooter or bike handle bars to their jacket or set it up in the living room to see what the cat gets up to during the night. With the headband, they can use it like a little miner and film on the go. We’ve had many videos of them going up and down stairs. And the biggest plus, it come with a LiPo battery back which is chargeable through a usb cable, no additional batteries required. Huge plus on Christmas morning. The boys have been having a lot of fun transforming themselves into top-secret super agents with this kit. They are wanting a few more bits in this range, like the walkie talkies. Next up Bond films will be asked for. The quality might not be HD videos and photos, but it does capture the fun things the kids get up to. Allowing up to 15 minutes of footage and up to 1,500 of photos. The camera’s on/off button is the button used to take the photos. Once it’s on they are ready to shoot away. 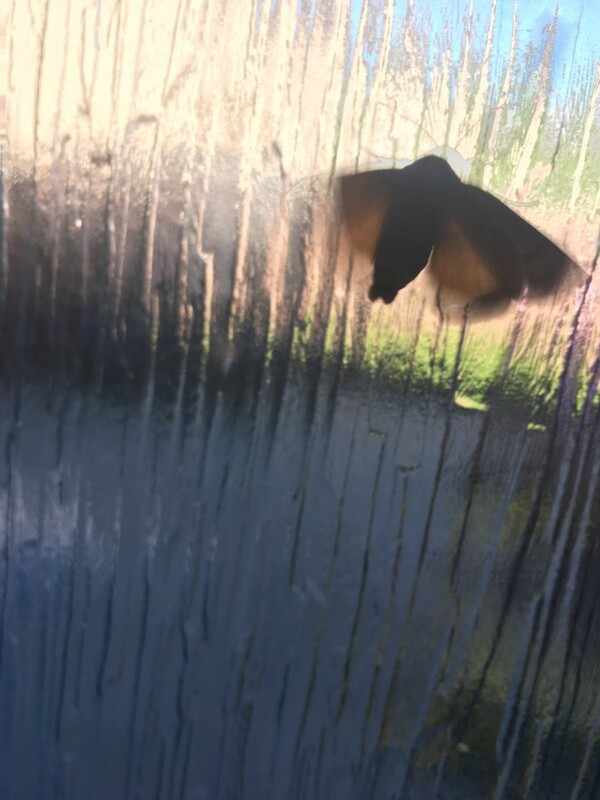 Here’s a moth little boy took a photo of with it. The Spy Go Action Camera allow children to experiment with the different modes available and explore everything the camera has to offer. We had a lot of fun with this and the kids loved running around outside and inside seeing what they could capture. The quality of the photos and videos are much better when shot in daylight and with not too much running about. The stability isn’t great with moving, but it is a lot of fun. To upload photos and videos to your computer, it is intuitive, plug it in via the USB and browse to the drive. 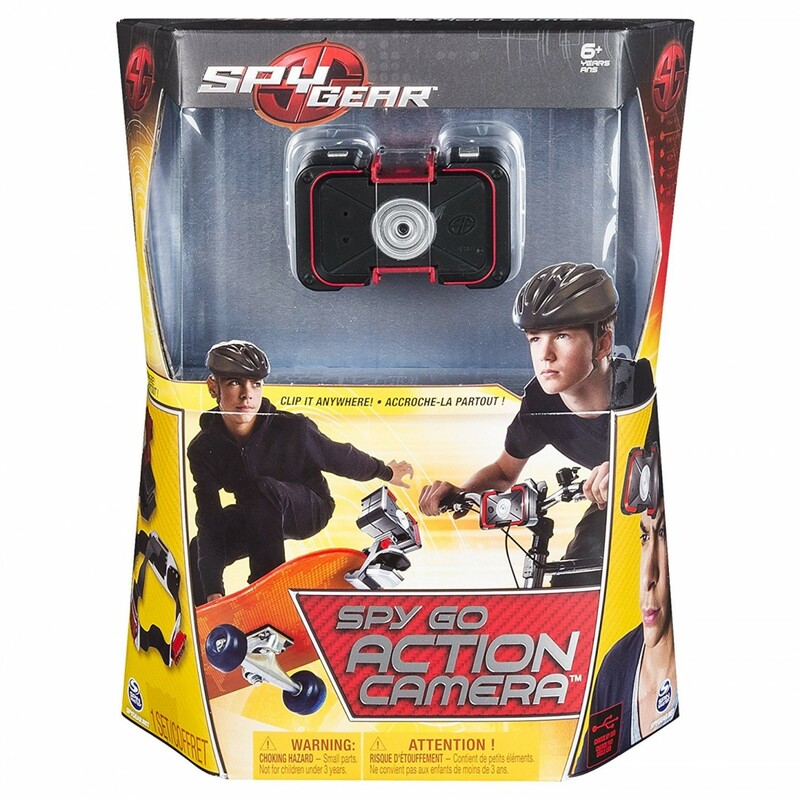 The Spy Gear Spy Go Action Camera is recommended for ages 6 upwards, which I feel is right as it can be a little tricky for little ones to get the hang of pressing the buttons and mounting the camera. Older children have found it no problem at all. At an RRP of £39.99 it’s really good value for money and allows children to capture moments from their level. The camera is quiet and the only indication that is is on is a small red LED light. Just play around with taking pictures and see what they can capture. The photos and video on it, aren’t the best quality, but they are good and at the end of the day it’s a toy. We think this is a great toy, which incorporates fun with capturing the moment. A great gift for any little action loving child this Christmas. Disclaimer:- We were sent this for the purpose of this review, but all thoughts and opinions are my own. Sounds like a good toy for young bikers/skaters. We have a go pro but always a bit worried about letting my 6 year old had it haha. This would be a better alternative. Fab review.